Kids love to make up stories. Not only is helping them stretch their imaginations a lot of fun, it also builds important cognitive skills. One way to do this is to help them write their own books, and for families in New York City, this can be accomplished through a visit to Scribble Press. Children can visit the company’s studio to make a book, experiment with a variety of art supplies, take a class, or arrange/attend a party. In the studio, kids write and illustrate their stories and then hand their pages over for binding. The professional-looking final product is available to take home the same day. Kids can also design their own puzzle, greeting cards, clipboard, lunch box, and more. For families located outside the New York City area, or whose kids are too full of ideas to wait for a trip to the studio, Scribble Press offers an iPad app for designing books. 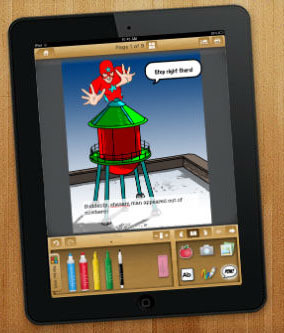 Scribble Press for iPad is a low cost app that allows kids to either pick and write from a template or design their own eBooks from scratch. 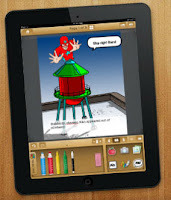 They can actually “color” directly on the screen, making drawing easier than it is with one of the many web-based book creation sites which use a computer and a mouse. Best of all, kids can submit their books for publishing, and Scribble Press will print, bind, and ship their book to them. An especially interesting feature is Scribble Press’s public ebook library, which allows other users to view books. This makes sharing with friends and family easy, and is a great source of ideas for children who aren't sure where to start. Some online products are free, but there are fees for most services, including printed books and all classes. Whether you visit a studio or investigate the app, Scribble Press offers great options for budding authors to express themselves!